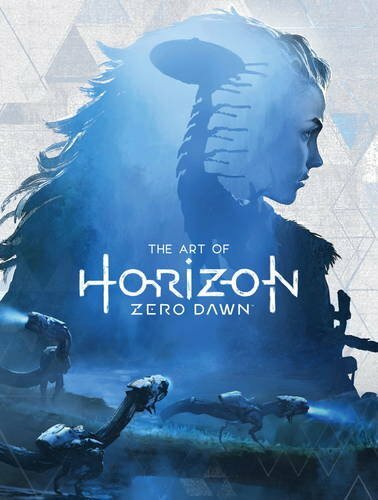 Finally, Guerrilla Games have decided to release an artbook to go with their newly release game. The only other artbook I have from them was Killzone Visual Design and that was really good. It's good to see that they have maintained the really high standards with Horizon Zero Dawn. This 192-page hardcover is filled with gorgeous concept artworks. There are designs for all the characters from the different tribes, enemy designs and of course locations. It's kinda refreshing to see tribal designs for a change among all the sci-fi and fantasy concepts. There's of course a slight plot twist as the story goes on so you might want to go through the book only after you have completed the game. The artworks are incredibly detailed. The designs look great. The scenes are well lit and beautifully painted. There's some speed painting and photo-bashing going on but the result always look believable. There's the right amount of detail for areas that matter. The artworks are also printed large whenever possible. Downside is in some cases, there's pixelation but I don't think it's really a big deal as long as there aren't too many pieces like that. Typical staff commentary on the design is also included. Overall, it's a video game artbook that's worth the money. It's great to see something different from characters in space suits or armour with their high-tech sleek space guns. If you're wondering about the orange splash on my cover. That's ink spilled from a bottle in my Amazon box. I'm getting the book replaced.